The school site is both impressive and extensive. Recent property developments include the construction and complete refurbishment of 22 classrooms, the hall, catering suite and sports pavilion. 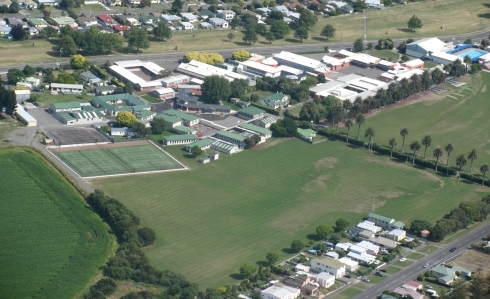 The school grounds accommodate 4 rugby and 3 soccer pitches in winter and 8 grass cricket wickets in summer. There is also an artificial turf area that provides 6 tennis courts in summer and ¾ size hockey turf in the winter. Music, drama and cultural facilities (including a dedicated Maori Studies Learning Centre) complement the classroom space. And adjacent farm with pine plantation and New Zealand’s first school vineyard, and outdoor education camp at Puketitiri (Camp Simmons) and the location of the Hawke’s Bay Holt Planetarium at the school complete the educational facilities. The school community is proud of the facilities and visitors often comment positively about the quality of the buildings and grounds. This is a $1.6 million upgrading of these dorms to bring them in line will the rest of our exceptional boarding houses. It will ensure our ability to care for 180 young men in welcoming and modern facilities. These replacement buildings will allow the school to completely rebuild all our science facilities into state of the art teaching spaces and, more importantly, group our science faculty in one block. As part of this rebuild, the English faculty will also move into new flexible teaching spaces on the site of the current A Block. The Polson Block will incorporate ICT facilities in a flexible learning environment as well as new enlarged food and retail service facilities including a year 13 common room. An added bonus will be the enlargement of the music teaching space and practice rooms.